Today is September 1st and that can mean only one thing, roster cuts. Today is the NAHL roster deadline for all teams to submit their 25-man roster. The Tomahawks came into camp with 31 players, which means the team will have to trim the roster down by six players. This will be no easy feat as the coaching staff has put together, possibly, the most talented team in Johnstown’s short history. 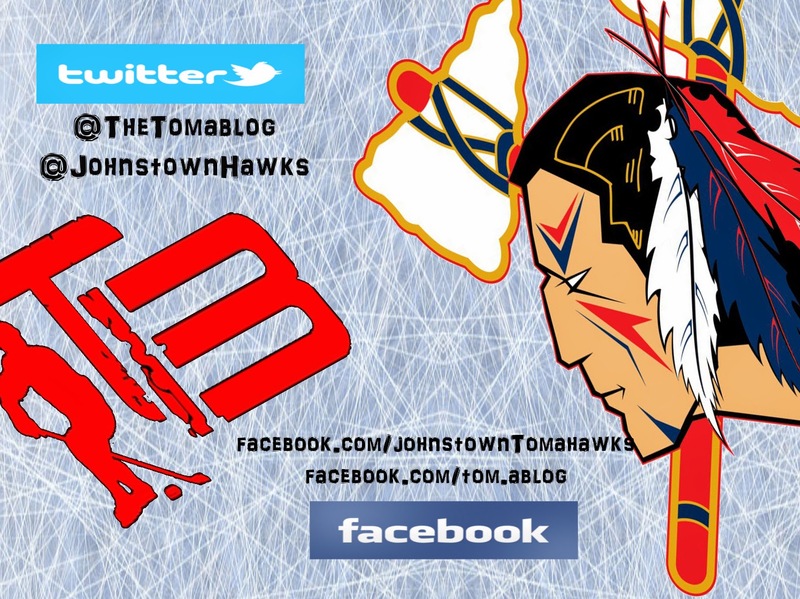 Over the weekend the Tomahawks played two exhibition games vs. the Springfield Pics of the USPHL, winning 6-1, and 4-3. Johnstown has one more tune up before the start of the season when they play the Youngstown Phantoms of the USHL on September 8th. When the team makes the official announcement of their 25-man roster we’ll pass the news along. We’ll also try and get the 25-man rosters for the other teams in the NAHL’s North Division, and post those when we get the information. 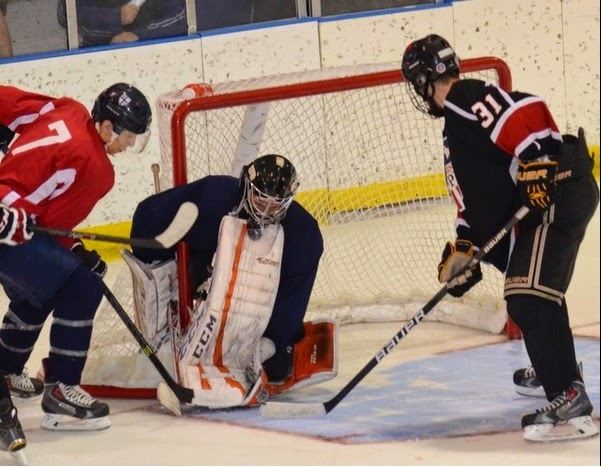 Coming into camp the coaching staff knew that they had to fill some scoring holes on the roster when Johnstown lost their top six leading scorers from last season's roster. Two players that the team was eyeing to help out, not only on the ice but off, is Tanner Barnes and Trevor Recktenwald. This weekend’s exhibition games showed that the two players might not have any problems helping the team in the scoring department. Tanner Barnes had a great weekend as he registered five points, two goals, and three assists. Trevor Recktenwald also played a very good offensive game, with three assists. If the two players can carry their momentum into the season, they’ll be turning a lot of heads and getting a ton of attention from college scouts. Two other players that had a very impressive weekend for the Tomahawks are newcomers to the team, but not newcomers to each other’s game. Zac Robbins and Peter Bates, both played together for Team Illinois last year and showed their great on ice chemistry with some spectacular goals, and offensive chances this weekend in Altoona. Robbins only played in Saturday night’s game but was able to score two goals, and assist on another. On both his goals, Peter Bates had the lone assist. Last season Robbins lead Team Illinois is scoring and Bates was third on the team. Peter Bates played in both games during the weekend and had four points, one goal, and three assists. Bates is a ‘96 birth-year player along with Robbins. Ryan Bednard and Jake Gwillim both picked up their first unofficial wins with the Tomahawks this weekend. Bednard stopped all but one shot he faced, and the goal that beat him was scored with the net dislodged. (They still counted it). In total Bednard faced 27 shots from the Pics. Gwillim allowed three goals in his game but still played very solid turning away 24 shots. Both goalies came to Johnstown as tenders. Brett Young backed up both games and will probably get the start vs Youngstown. Dakoda Menslage scored two power play goals this weekend. 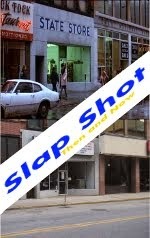 Both goals were via his great slap shot. Former Tomahawks’ goalie Jake Moore is now with the Springfield Pics. He played against Johnstown on Sunday morning and picked up the 4-3 loss. Garrison Sanipass scored a goal this weekend, and just missed on several other opportunities. Sanipass looked faster and stronger in the two games this weekend, which can only mean good things for him and the team moving forward into the regular season. The Tribune Democrat this morning has an article on about this weekend’s pair of games and Mike Letizia shares his thoughts on the weekend, and the tough decisions management has to make today to get the roster down to 25 players.